Quantum Leap - RA - PLAY Edition, THE DEFINITIVE RARE AND ETHNIC VIRTUAL INSTRUMENT, now available with PLAY’s intuitive custom interface with more control over the sounds offered in the collection along with the ability to load even more instruments than ever before. Excellent quality in sound. I use this product in background songs. 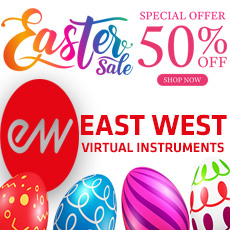 East West product are excellent sounding instruments. Will recommend to my fellow sound engineers. One of the few great World packages on the market. As some have pointed out, it could use more percussion, but the range and sonic beauty of the instruments, overall, is wonderful.